You are at: Big In Finland » Events in Finland » When do seasons begin and end in Finland? 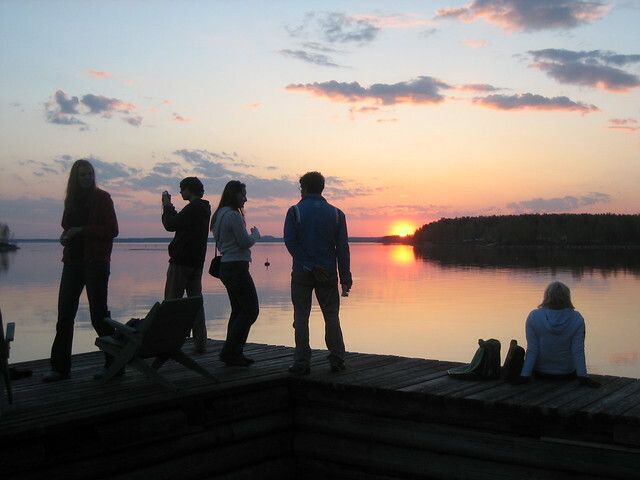 Last Juhannus (the midsummer in Finland, where bonfires are lit and people enjoy a long weekend in a cottage near the water, drinking spirits and eating grilled goods such as makkara – Finnish sausages) signaled – as every year – the weekend before the official beginning of summer on June 21st. But is it really summer in Finland already? Not if we look at the meteorology: It was cold and rainy, like in many parts of central and northern Europe. The question, therefore, is clear: when do seasons begin and end in Finland? … but it has also lots of mosquitoes (Finnish mosquitoes are huge and fierce), ticks, some over-drinking, a lot of rain and low temperatures compared to “summery-summer” places like the south of Europe. Also, the summer season isn’t very long. We can’t have it all. This year, actually, holds the record for the coldest June in Finland ever. And what do we consider summer in Finland? That the average temperature of each day is above 10 degrees Celsius. With this criteria, summer in Finland lasts from mid-May to mid-September in the south of the country. In Lapland, the summer starts one month later and ends one month earlier, while in the rest of the country it varies between those dates. If we talk about the highest temperatures ever recorded in Finland, our beloved city of Joensuu holds the record: 37° C. In Finland, “heat wave” is the name that they assign to days where there are more than 25 degrees Celsius. These “heat waves” last between 10 and 15 days in the south of the country and between 5 and 10 days in the north. The colors. Oh, the nice colors. Autumn has a word that represents it in Finland: the ruska. All the different bushes and trees change their color, each one at its own pace, from green to different tones of yellow, brown and red. The only bad part? It is a very rainy time in Finland, and the rain only stops when the snow comes. Finland is usually very cloudy, but when the clouds leave and reveal the autumn skies, it is a perfect moment to see the Northern lights since there are more hours of nighttime than in summer. What do we consider autumn in Finland? It is the moment when the average temperature drops below 10° C. We know that winter is quite near when the average temperature is below 5 degrees, something that happens more or less during the last week of September in Lapland and the last week of October or first week of November on the south-west coast of Finland. On Big in Finland, the posts about winter and snow are very well loved. And is not by chance: I chose Finland because it was, in Europe, the furthest thing from Spain in terms of climate, and where I could have tuition in English. And I think the readers of the blog think the same. The most characteristic thing of the Finnish winter is the length in hours of darkness. In the far north they have the Polar Night: the Kaamos, and I know that there are over 40 words for different stages of snow in Finland. Besides that, of course, you can do lots of skiing, ice hockey, take a dip on a frozen lake after a sauna, drift with your car over the snow like a Finnish rally driver… and let’s not forget the Christmas time in Finland. This season, winter, is the longest and toughest in Finland. We can say that Winter has officially arrived when the average temperature is below 0 degrees Celsius. Winter usually starts in mid-October in Lapland, and during November in the rest of the country. In the south-west of Finland – i.e. the Aaland islands – winter lasts 100 days. In Lapland it lasts more than 200 days. The lowest temperatures reached during winter in Finland are between -45° C and -50° C in Lapland, -35° C and -45° C in the rest of the country, and -25° C and -35° C in the archipelago and on the south-west coast. Check it out in this set of photos of Finland in Winter. Spring is the season that everyone living in Finland, but especially the non-Finns, await most eagerly. The darkness is over, the cold is becoming more moderate, and slowly the snow melts away. But is still cold and rainy. Some Spring days are as lovely as this one. 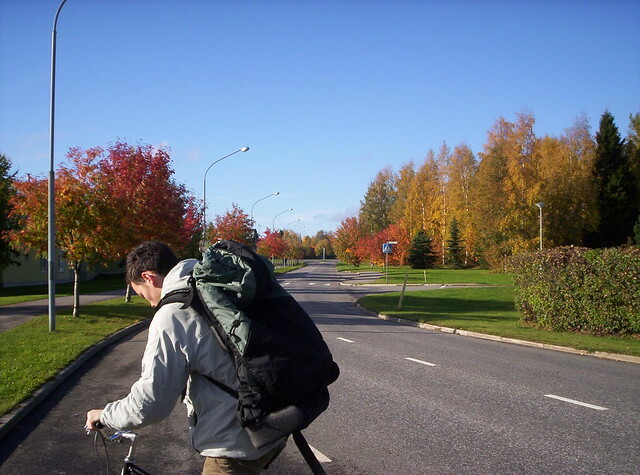 As it happens with the autumn in Finland, the spring season starts when the average temperature per day is between 0 and 10 degrees Celsius. 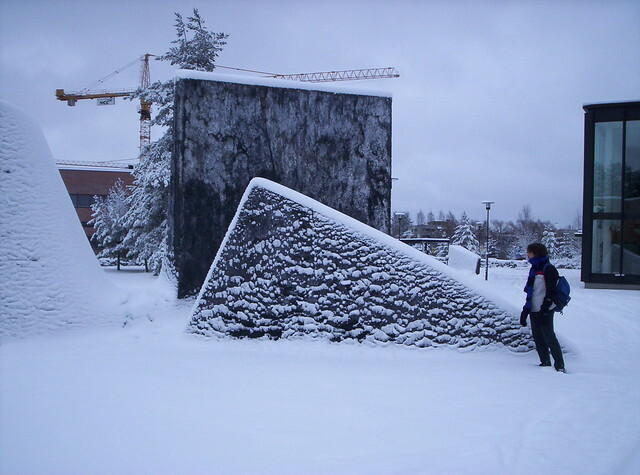 This usually happens around the beginning of April in the Åland islands, mid-April in the rest of the country and in the beginning of May in Lapland. Thus, spring sets in one month earlier in the South of the country than in the North. The length of this season is between 45 and 65 days. 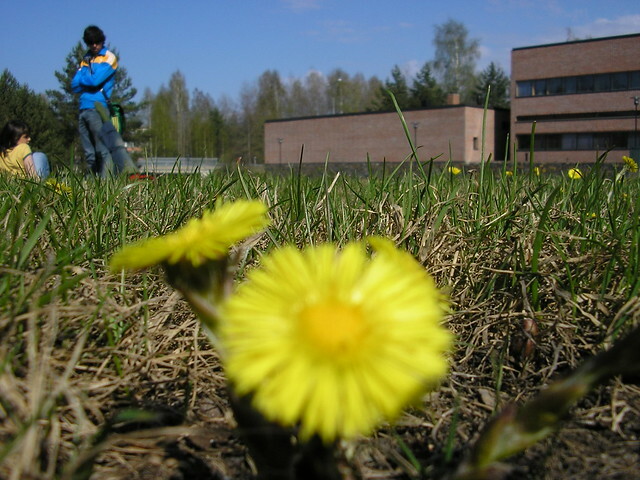 We have some cool photos of Finland in spring here. As a final recommendations, take a look check out our posts about what to wear in Finland in winter, so you can be spot-on when you visit the country. The source of the content of this blog post was a great source of online information: the website of the Finnish Meteorological Institute. What’s your favorite season to be in Finland? Are you surprised by the length of some seasons in Finland, or had you already guessed it?